Cebuflower.com offers the most budget friendly gift items ideas that can be deliver Consolacion in Cebu. Choose from our wide variety of flowers like Carnations, Gerberas, Orchids, Stargazer, Lilies, Roses and on sale gifts like, chocolates and teddy bears. We also offer affordable flower and gift combinations, gift packages, wedding flower package and mix of gift items for you to give in any events or occasions like valentines day, anniversary, wedding, birthday, mothers day, fathers day, funeral/sympathy, christmas, new years gift, all and even just gifts for her. 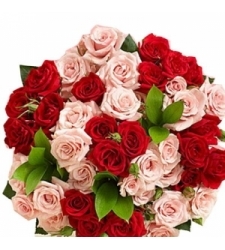 Cebuflower.com is the most reliable flower gift delivery shop in Consolacion, with our trusted courier delivery partner, we can deliver your flowers and gifts order fast, fresh and on time. Order now and avail fastest delivery to Cebu. We are the expert local florist for affordable flowers and cheapest gift in Consolacion Cebu. We also offer express flower delivery to Consolacion in Cebu.